What Is Get Ready! Camp? 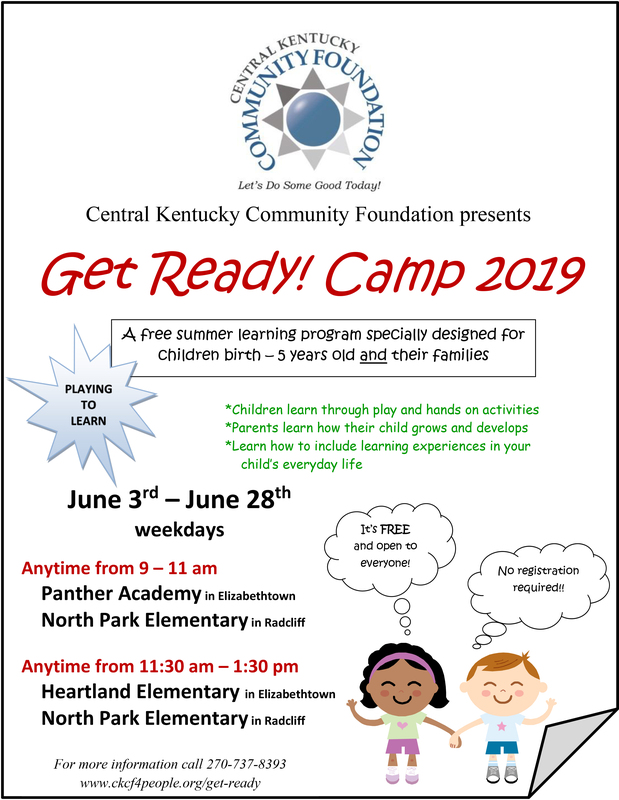 Central Kentucky Community Foundation brings together key stakeholders around a comprehensive and intentionally designed program to deliver quality learning experiences at a crucial time in children’s development. 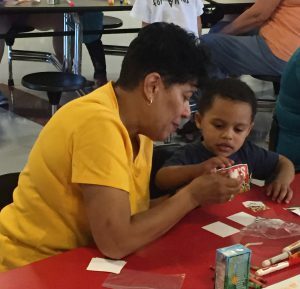 This collaboration among professionals, parents and community leaders is revolutionizing early childhood learning opportunities in our community. More than 650 children and 400 adults participated in Get Ready! Camp in 2017. We must invest in exceptional early learning opportunities for every child if we are going to improve our educational outcomes as a state and country. But this isn’t just about measures and outcomes. Parents deserve access to these opportunities to discover how to help their children learn; children deserve this investment when it can most affect their future. The future of our communities depends upon this investment. Our communities are making a difference by coming together and addressing specific issues locally. And thus, Get Ready! offers all parents who have these desires for their children the opportunities to join their children in discovering the exciting world of learning and of believing in themselves.